$0.99 (regularly $4.99) 4/24/2016 - 4/30/2016! You’re not supposed to get fired from the public service. Meet Barney. He’s an average guy in his mid-thirties with questionable social skills and progressive germophobia. He likes routine. He likes to keep his head down. Life’s pretty safe…until he’s spectacularly fired from a ten-year public service career. Desperate to find a new job, Barney lands a private sector role with a struggling communications firm that has a suspicious lack of clients and is run by a man who wears Hawaiian shirts to staff meetings. The one shining light is Gloria. Fierce, devastatingly intelligent and with a brutal sense of humor, Barney is mesmerized from the moment they meet. 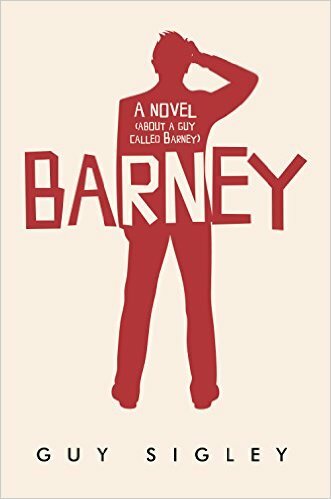 To win Gloria’s heart, and his new team’s respect, Barney sets out to prove that he’s more than just a public service reject—even resurrecting a stand-up comedy career that hasn’t produced a laugh in more than a decade. But in trying to be everything he thinks they want, Barney is forced to question who it is he really wants to be. An offbeat comedy with echoes of The Rosie Project, this hilarious and heart-warming novel is a story about the masks we wear to impress others, and the freedom that comes with just being ourselves.